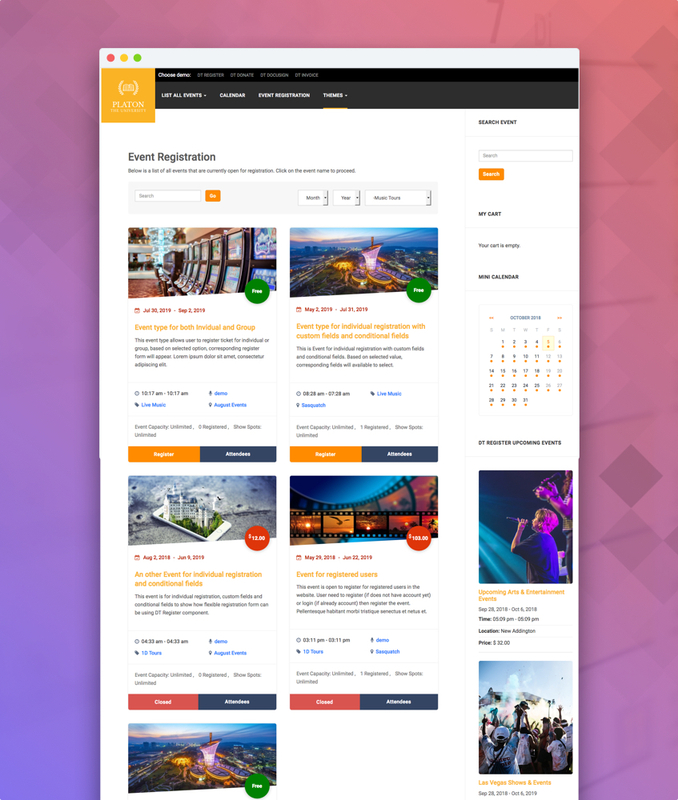 3 new themes for DT Register Joomla event registration extension. 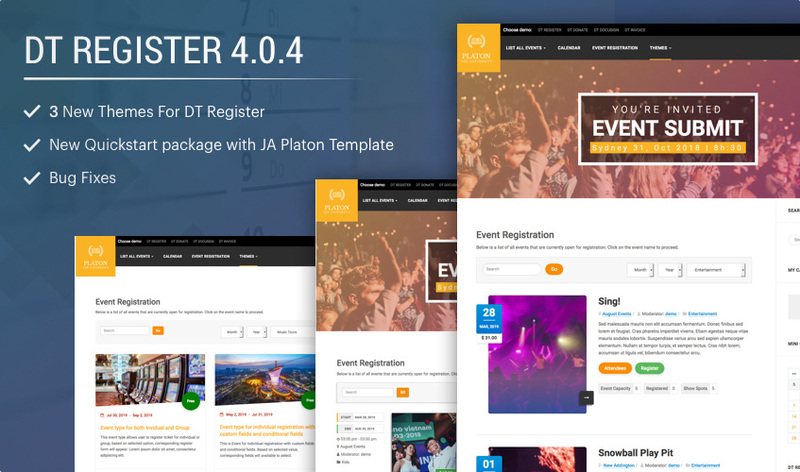 The new demo site and quickstart package is now based on JA Platon template. 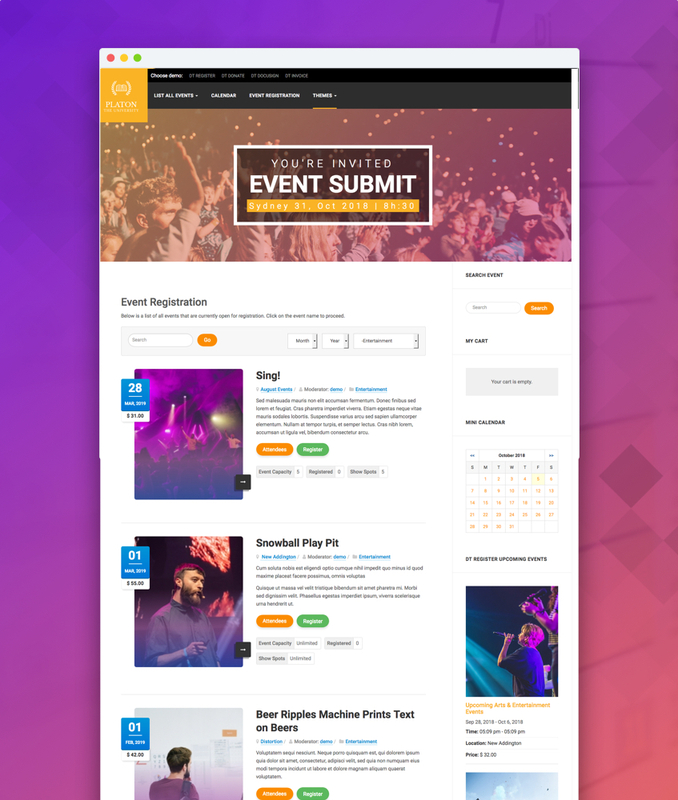 It looks much more beautiful with all pages, features and themes. 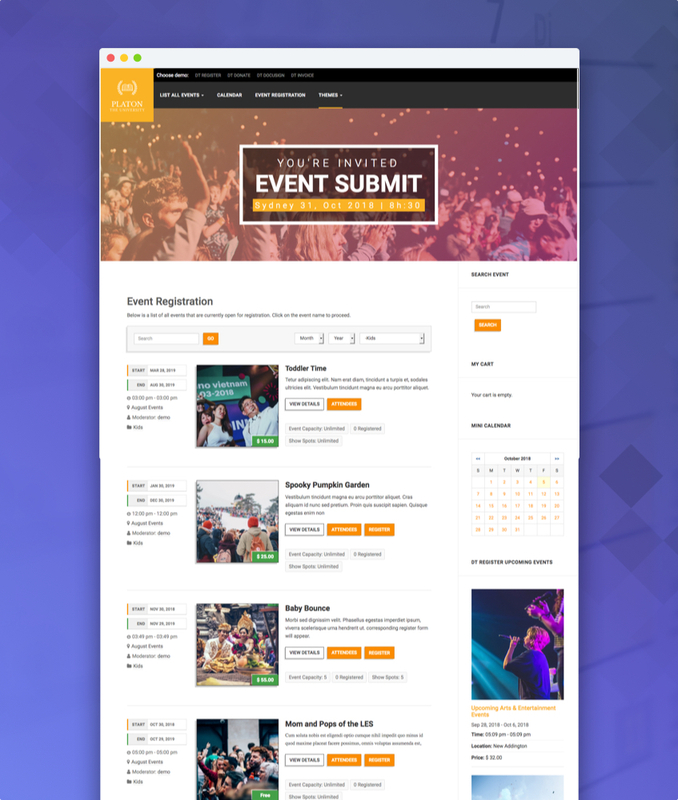 The new quickstart will help you quickly build a complete Event Booking / Event registration website with ease.